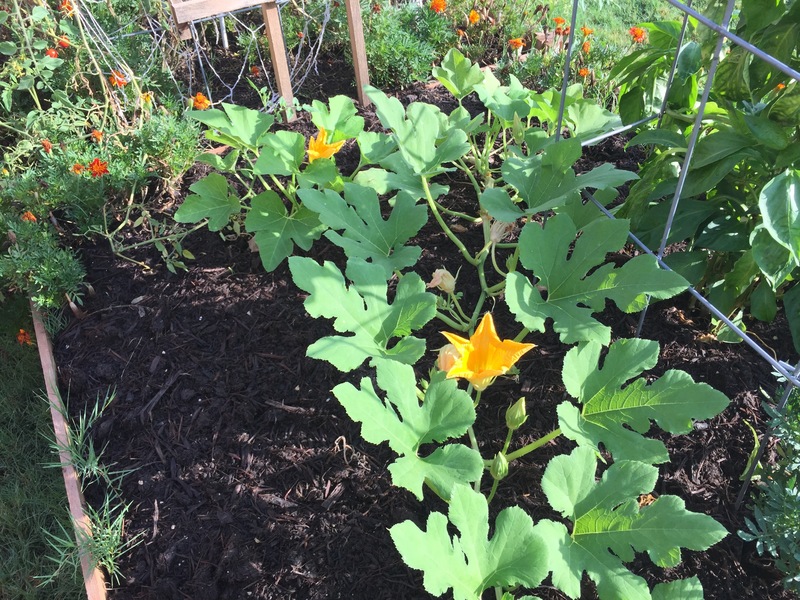 This entry was posted in Gardening and tagged pumpkins on October 8, 2015 by Julie Riebe. 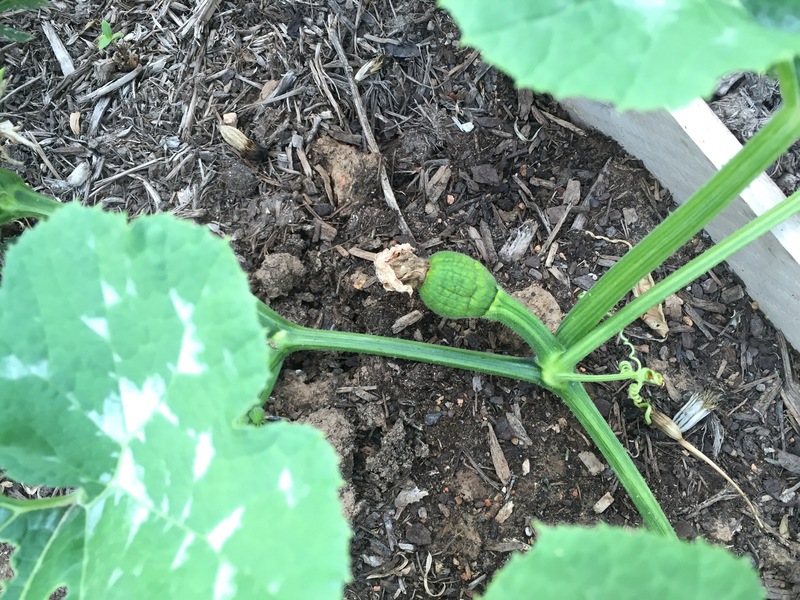 2015_Day 279: From 1 to 3 pumpkins! 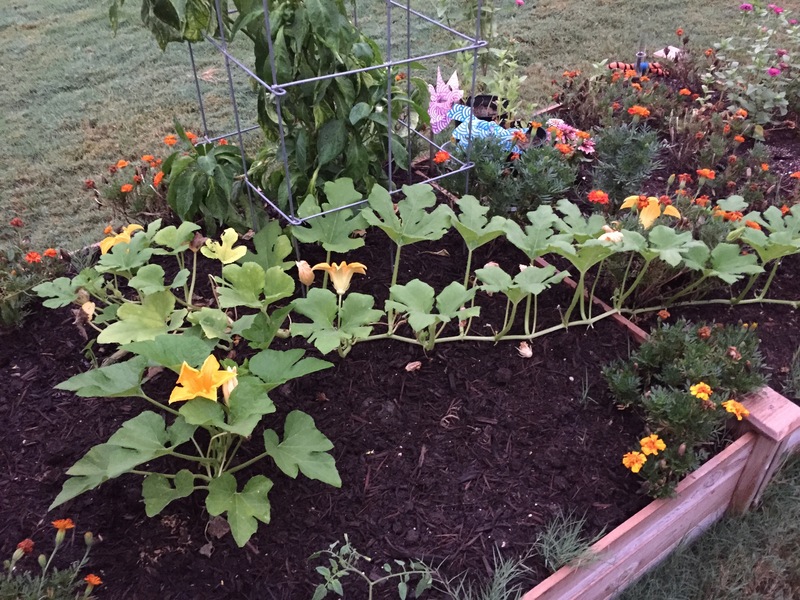 This entry was posted in Gardening and tagged pumpkins on October 6, 2015 by Julie Riebe. 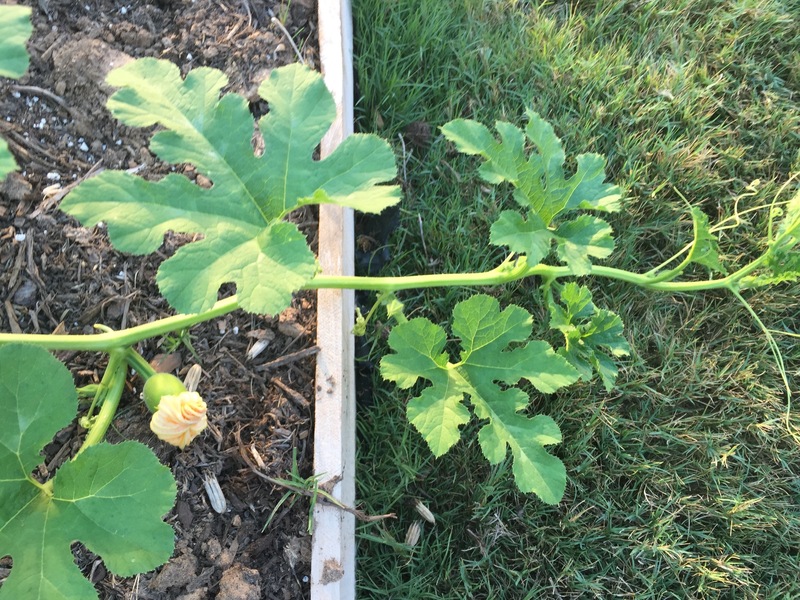 Wanda, my wandering pumpkin, continues to stretch out. 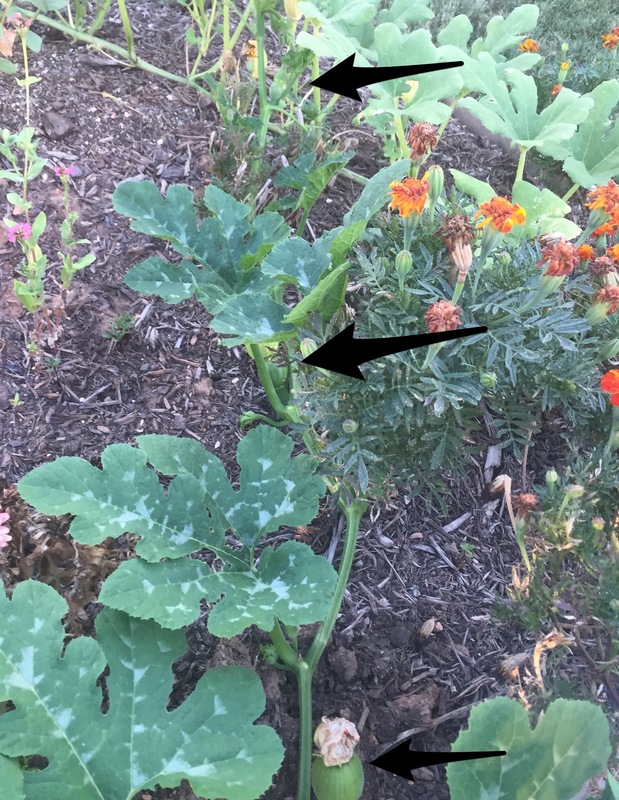 She’s started trailing onto the grass, so I suppose I’ll have to try to train her to grow back into the raised bed soon. If I can’t, husband probably won’t like to mow around her. How could he not like her, though, with her cute little pumpkins? 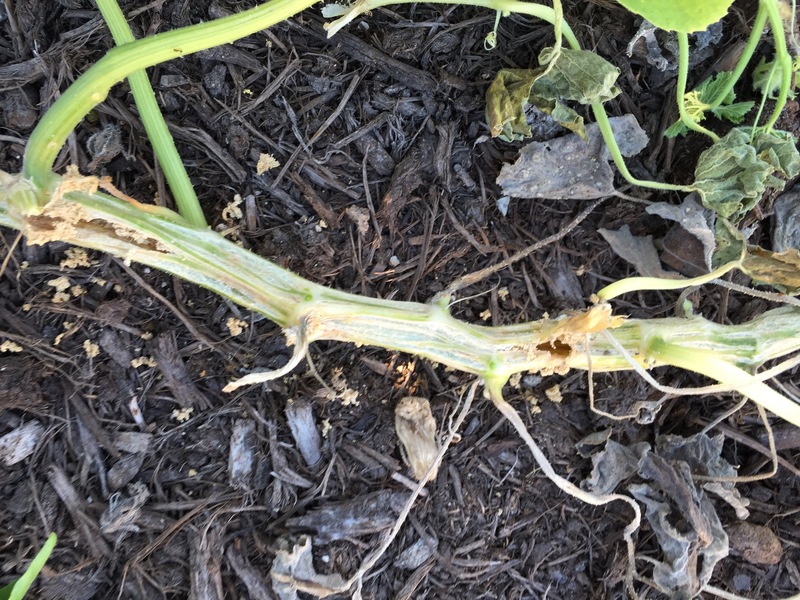 This entry was posted in Gardening and tagged pumpkins on September 17, 2015 by Julie Riebe. 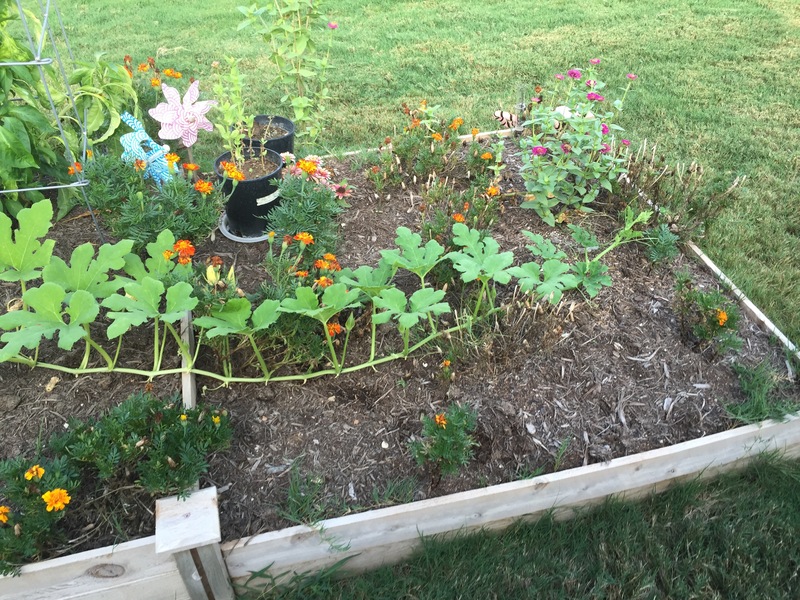 This entry was posted in Gardening and tagged pumpkins on September 14, 2015 by Julie Riebe. 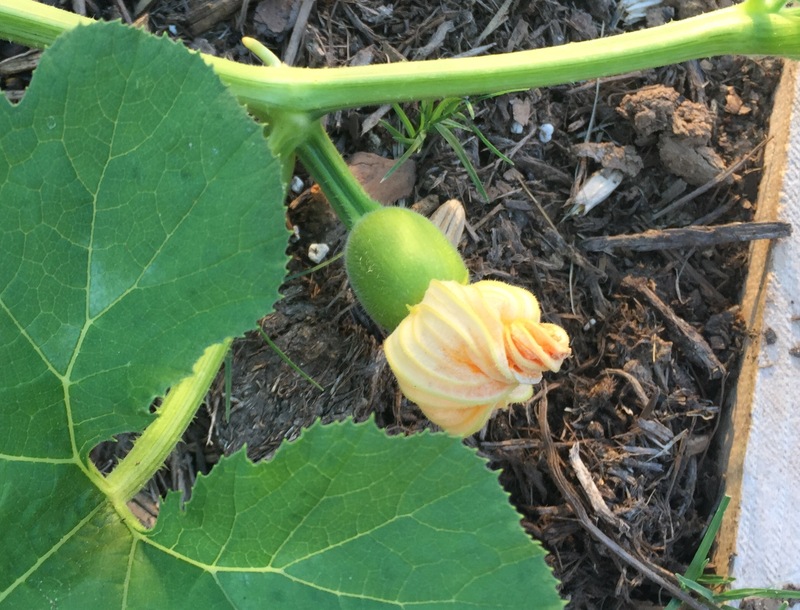 Today I had a few minutes to check out the garden before work, and it was nice to see a lot of pumpkin flowers open. 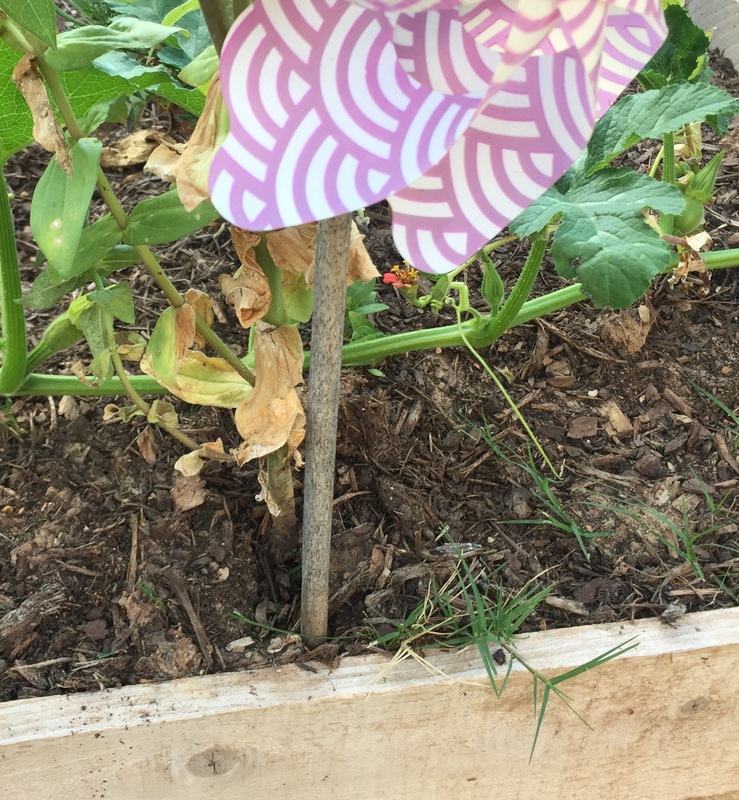 Also noticed that Wanda is expanding beyond the borders of the raised bed. 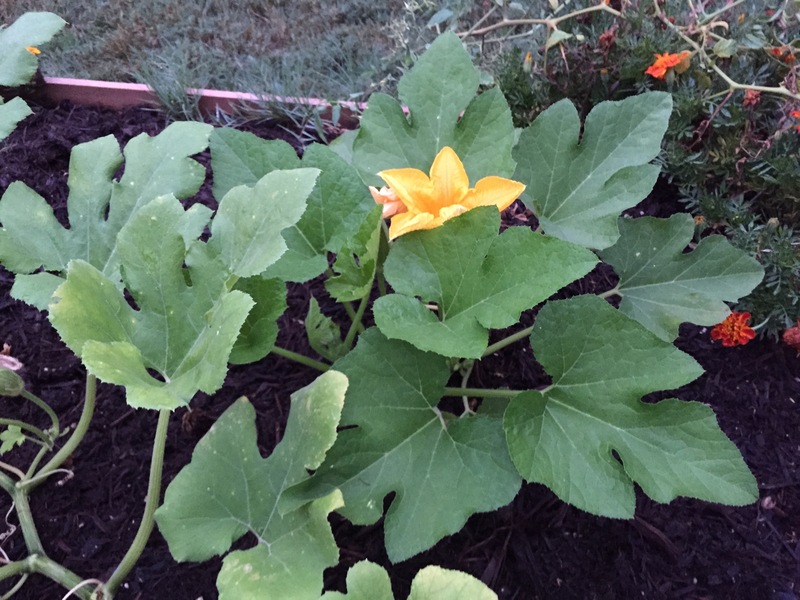 Cosmo, the other pumpkin, is a lot smaller than Wanda, but he does have a flower or two. When I got home tonight, I moved Wanda so she’s trailing inside the bed, but I’m guessing it won’t be long before she stretches out again. 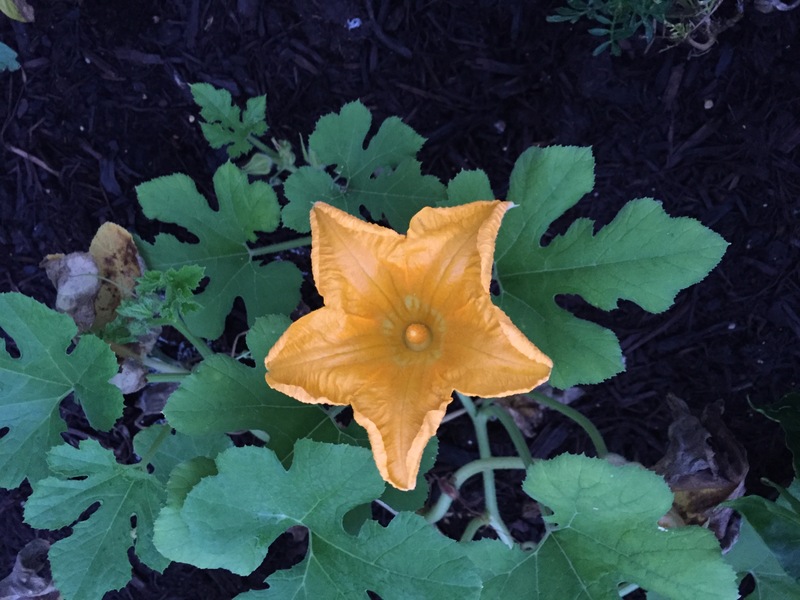 She’s definitely a pumpkin without borders, although I suppose that’s what pumpkins do, right? Rain update: An hour after I posted last night about waiting for the rain, we actually did get a small shower. 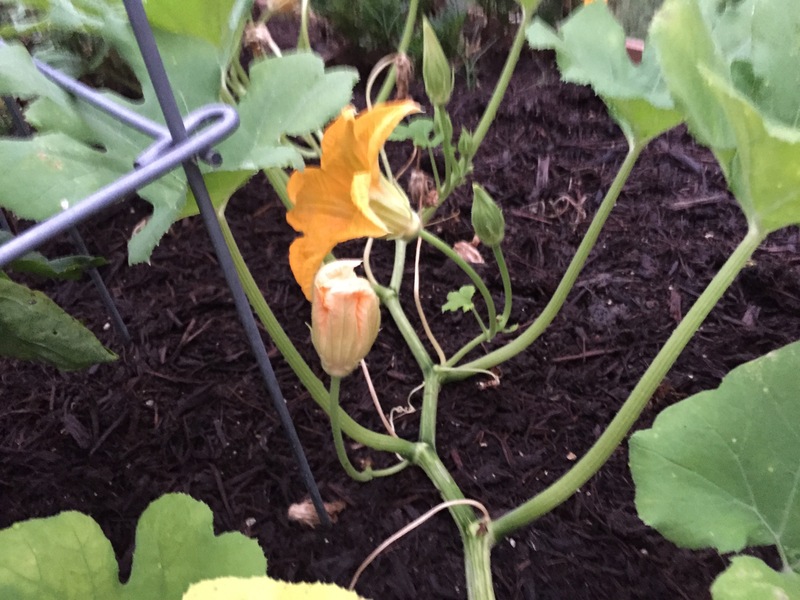 Less than a half-inch, but at least it’s something. There are more rain chances yet tonight and again tomorrow, but they’re really spotty. 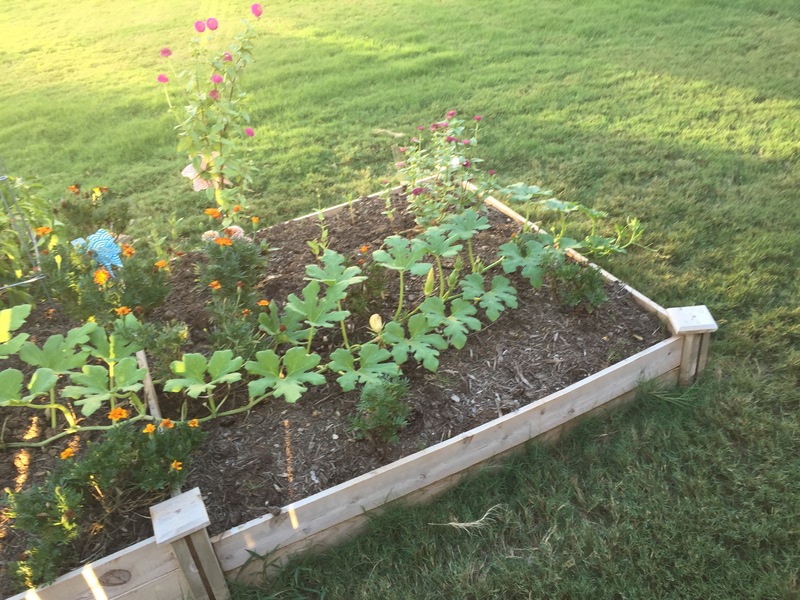 This entry was posted in Gardening and tagged pumpkins on September 10, 2015 by Julie Riebe.